Coated parts offer several advantages over uncoated parts. These coatings can facilitate automatic assembly, decrease friction or help with identification. Dry (powder) coatings are most commonly used to treat parts for automatic assembly equipment. The purpose of the powder coating is primarily to reduce the tendency of parts to stick together, forming a clump or mass. To counteract this tendency, J Royal offers dry powder coatings such as talc, powdered PTFE, mica, graphite and molybdenum disulfide. However, over time these coatings may foul assembly equipment and could require downtime for cleaning. Wet coatings are similar to dry coatings in that they are commonly used to increase the efficiency of automatic assembly equipment. However, as opposed to dry coatings, these are aqueous in nature. J Royal's primary wet coatings are silicone emulsions and soap & water mixtures. These wet coatings generally offer superior lubricity over dry coatings, but can be somewhat messy. Care must be taken to prevent migration across the shop floor. 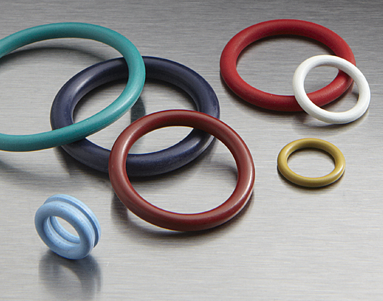 Thin film coatings are essentially sprayed and baked for O-Rings and rubber parts. Typically these coatings are semi-permanent, but can be removed with abrasion. Dry film coatings offer the best lubricity and cleanliness, however the extra processing associated with the coating leads to higher costs. J Royal offers two types of thin film coatings, PTFE and our proprietary HiSlip. PTFE coating has the added benefit of being colorable, which allows for easy visual identification of parts. J Royal also offers our proprietary CC12 surface treatment for NBR rubber. The CC12 surface treatment is a permanent surface modification by which the NBR rubber is halogenated in chlorine solution. 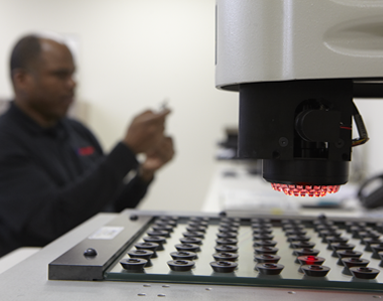 The CC12 process makes the surface durometer harder, which permanently reduces the surface coefficient of friction.